The music of Josquin Desprez is performed, recorded, and studied more than that of any other composer of the Renaissance. Although his numerous Masses and motets are now more than 500 years old, they have entered our modern musical museum of masterpieces, heard in concerts and on recordings as independent works of art. Through superlative craft and sublime beauty, this music transcends its time and place, and its original function as sacred music. But just as a stunning Renaissance altarpiece becomes even more impressive and meaningful when restored to its original place in the sacred space it was made to adorn, so the sacred polyphony of the period gains in beauty and meaning when heard within the ritual framework it once enhanced. That ritual framework told sacred stories – of Christ, his mother, and the saints – primarily through plainsong and recitation. For special occasions, in institutions able to support highly trained singers, sacred polyphony added special lustre. This recording aims to recapture a sense of the ceremonial context that would have surrounded Josquin’s sacred polyphony in a place where he sang and composed and where his music continued in use long after he left. That ritual context is the Saturday Mass for the Blessed Virgin during Advent, a liturgy focused on the Annunciation story; that place is the Sistine Chapel in Rome. The Missa Ave maris stella was copied into a Vatican choirbook for the use of the papal singers no later than 1507.
the celebrant’s recitations are pronounced with an Italian accent, imagining an Italian cleric presiding. Cappella Pratensis here approaches the chant as the expert papal singers trained in mensural notation likely did, responding to the mensural implications of the square notation. Robbert Muuse & Micha van Weers and Cappella Pratensis played in Vrije Geluiden last Sunday! A wonderful performance of both the artists.The show will be rebroadcasted on Saturday 12th, from 9.00 hrs on Nederland 1.You can win a CD! Leave a comment on the Facebookmessage of Vrije Geluiden about what you thought about the performance and win! I look forward to getting this. Cappella Pratensis was in San Diego, CA recently and they are wonderful performers, and Josquin is one of my favorite composers of all times. "The sound pattern is very clear and the style of singing fluent, with a perfect legato and a brilliant mixture of voices. Since the acoustic is also approriate, this CD be called successfull by any account." "(...) the textures are in general exceptionally clear and (...) the lines are beautifully relaxed." 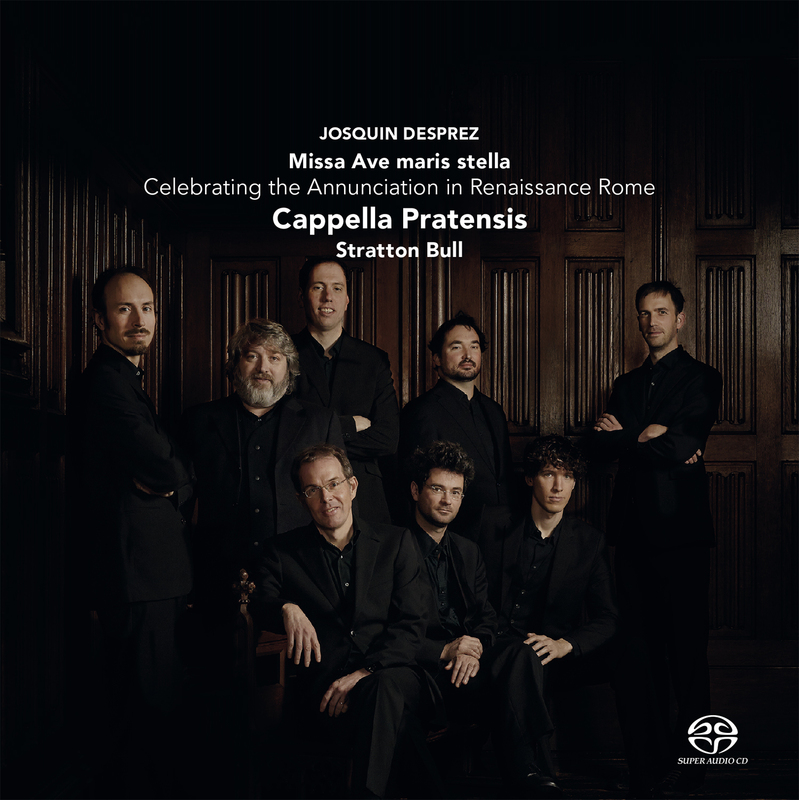 "The liveliness of acoustic and tonal beauty of both recordings and performance from the eight male voices pf Cappella Pratensis, celebrating the Annunciation in renaissance Rome with the Missa Ave maris stella by Josquin in liturgical format with plainsong Propers, is a pukka piece of aural time-travel. Their Franco-Italian pronunciation, evoking the papal choir of Josquin's time, is particularly piquant." "Avocal textured, warm blanket that fully suits the Annunciation. The eight voices are impressive depicted in the church hall." "The end result is ensemble singing of the highest order." "On this album Cappella Pratensis is at her best: flawless beauty of sound linked to a faithful interpretation of old scores."